The Royal and Ancient (R&A) Golf Club of St. Andrews and United States Golf Association (USGA) announced that Washington Husky senior golfer Chris Williams is the sixth recipient of the Mark H. McCormack Medal. The award is given to the top-ranked amateur golfer at the conclusion of the amateur season and following the U.S. and European Amateur Championships. 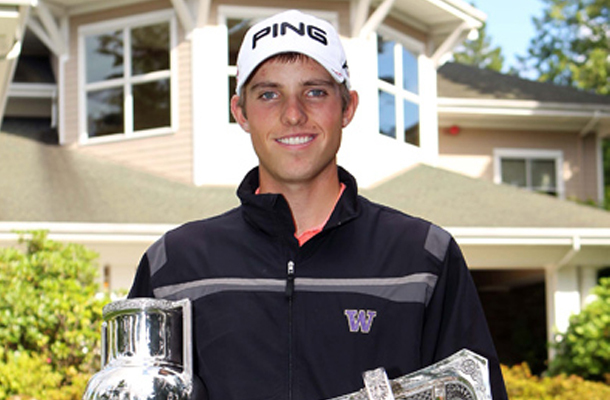 Williams, from Moscow, Idaho, has spent several weeks as the World Amateur Golf Ranking’s number one player. He ascended to the top spot for the second time this summer before play began at the U.S. Amateur Championship. He advanced to the quarterfinals before losing. The No. 1 ranking and McCormack Medal means Williams is exempt for both the 2013 U.S. and the British Open Championships. Williams is the second Husky to win the prestigious McCormack Medal. 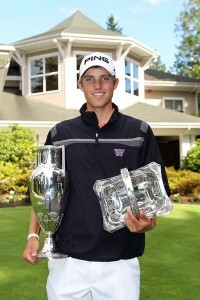 His former teammate, Nick Taylor, took home the honor in 2009 after spending 13 weeks as the top amateur golfer.